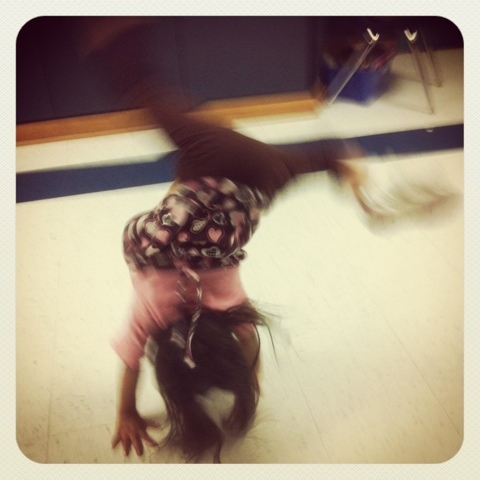 Look at that kid, doesn’t she know she’s not supposed to do cartwheels down the hall at school? This entry was posted in Parenting, Project 366 and tagged cartwheel, hall, Instagram, project 366. Bookmark the permalink.